I posed without my kerchief for a story in the local newspaper. Who would have thought? But, it's true, it happened. The story is titled "Life After Cancer"....great title, don't you think, because there is life after cancer. If you're interested in reading the article, here it is. 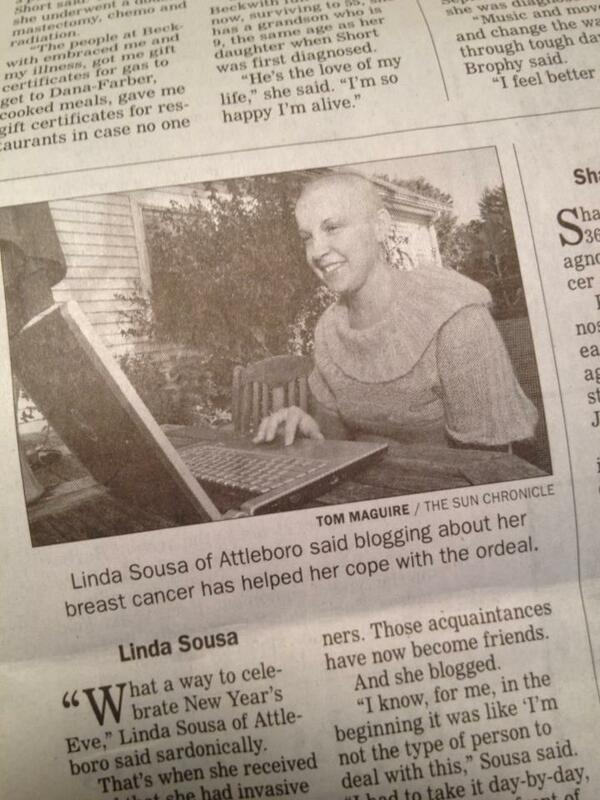 The story features little ole me along with 5 other breast cancer survivors. 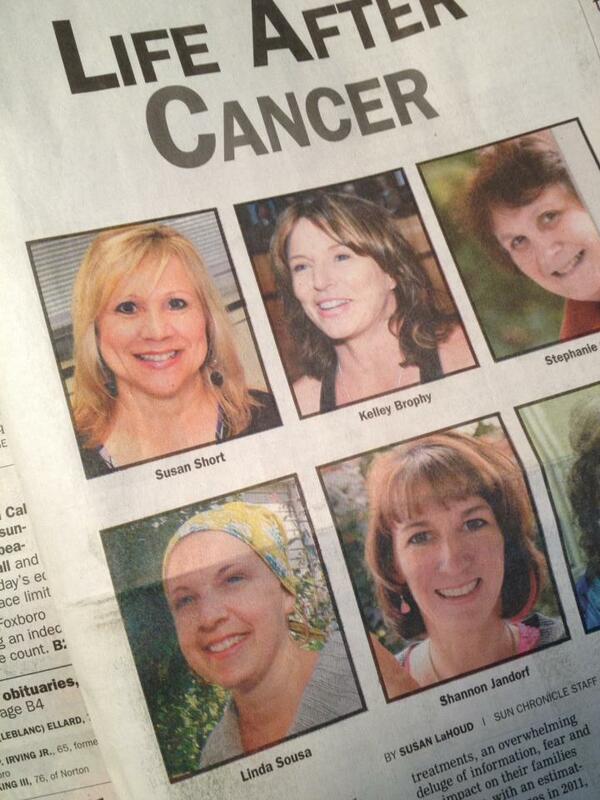 "You can be a victim of cancer, or a survivor of cancer. It's a mindset." I really love that picture...You look beautiful!